Baserail lengths for stair and landing handrails form the Hallmark Pine range of stair parts. 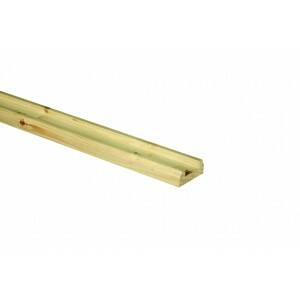 For use with either 32mm spindles or 41mm spindles. The Hallmark range by Richard Burbidge is a stylish collection of quality pine stair parts. This range offers a choice of either turned, or plain, 82mm newel posts, available with or without pre-machining for the fixing brackets.